Zombies in Japan? You bet your life! 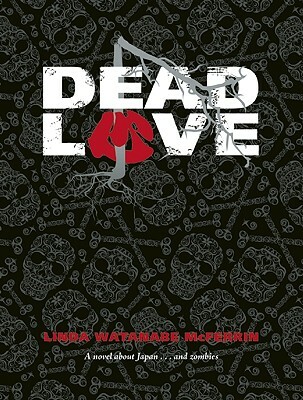 Dead Love is an artful supernatural thriller that follows a cast of nefarious charactersboth human and otherworldlyas they foul one another's plans and power plays in a conspiracy of global proportions. It begins when Clément, a lovesick ghoul, falls for beautiful young Erin. Unfortunately, she is marked for death by the Japanese mob (the yakuza). Using secrets learned from a Haitian witch doctor, and taking us to Tokyo, Amsterdam, and Malaysia, Clément finds a way to rescue and possess herbut not at all in the manner he expected. Linda Watanabe McFerrin is a Bay Areabased contributor to numerous journals, newspapers, magazines, anthologies, and online publications. She received the Katherine Anne Porter Prize for Fiction and is the author of the award-winning novel Namako: Sea Cucumber and the short story collection The Hand of Buddha. Her website for her new book is deadlovebook.com. Linda Watanabe McFerrin: Poet, travel writer and novelist Linda Watanabe McFerrin (www.lwmcferrin.com), has been traveling since she was two and writing about it since she was six. A contributor to numerous journals, newspapers, magazines, anthologies and online publications, she is the author of two poetry collections, an award-winning novel ("Namako: Sea Cucumber") and short story collection ("The Hand of Buddha"), and the editor of a travel guidebook ("Best Places Northern California") and four literary anthologies. A past winner of the Katherine Anne Porter Prize for Fiction, she teaches and leads workshops in fiction and creative non-fiction and she is not afraid of the dark.